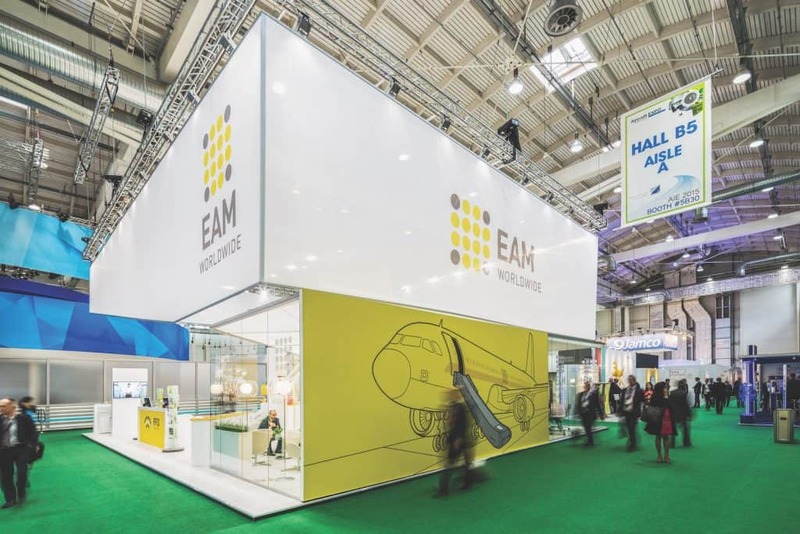 EAM Worldwide to give an update on its evacuation slide product at the Aircraft Interiors Expo (AIX) 2018 in Hamburg, Germany, Tuesday, April 11. Also on hand will be representatives from Lufthansa Technik. Lufthansa Technik is the integrator of the Skypax solution, a compact system, designed in partnership with Hamburg-based Diehl Aerosystems, which will include the first EAM manufactured slides. Skypax combines the galley and lavatory into a single unit while utilizing a lower-profile EAM escape slide. This allows for A320s to be retrofitted with additional seats. Lufthansa Technik has already initiated the integration process and completed the installation of Skypax into multiple A320s. “Lufthansa Technik’s innovative Skypax solution has proven to be an ideal market-entry point for our new Escape Slide. This is an exciting milestone toward opening up the market and giving OEMs and airlines a new slide product option going forward,” states EAM’s Director of sales and marketing, Manny Gato. EAM has been a global leader in the manufacturing of aviation safety equipment, including life vests, life rafts, and survival kits, for over 65 years. The addition of slides to the company’s product line was first announced in 2013. AIX 2018 is set to run April 10 to April 12, and EAM will be located at stand 5C10. Celebrating over 65 successful years in business, EAM Worldwide delivers high-quality safety equipment and technology to help ensure the survival and well-being of each passenger and crew member. Providing exceptional client service to the aviation and marine industries, EAM also helps support the financial and operational sustainability of each client. With its latest RFID technology and innovation in its customizable life vests, rafts, and kits, EAM continually delivers on its promise. EAM Worldwide is headquartered in Miami, Florida, with a global sales office in Dubai, United Arab Emirates. Lufthansa Technik is the leading provider of maintenance, repair, overhaul and modification services for civil aircraft. With tailored maintenance programs and state-of-the-art repair methods, Lufthansa Technik ensures the unbroken reliability and availability of its customers’ fleets. Lufthansa Technik is an internationally licensed maintenance, production, and development organization. The seven business units of Lufthansa Technik (Maintenance, Overhaul, Component Services, Engine Services, VIP Services, Landing Gear Services and Original Equipment Innovation) serve about 800 customers worldwide.